(2)	Two King (both ensuite) , Two Queen (one with adjoining bathroom), twin rooms with themed bed-linen for the children if required (SpongeBob SquarePants, Cars, Tinker Bell, Mickey mouse). (3)	Fully fitted granite kitchen with large fridge / freezer, microwave, dishwasher, coffee maker and kettle. (4)	Separate laundry with washer / dryer, vacuum cleaner, ironing board and iron. 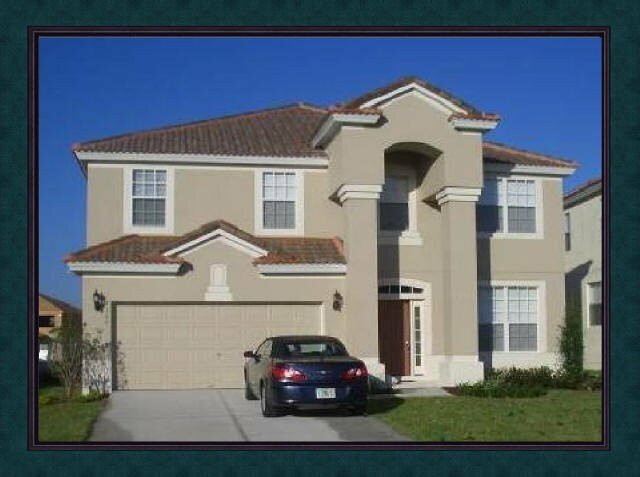 (6)	Large screen LCD TV in family room with standard Brighthouse package. Extensive range of movies on demand via media player. (7)	South / South-west facing heated pool and spa (heating at additional charge). The WHOLE pool and pool deck area receive sunshine from about 10 am until sunset. Flagstone villa backs onto a large green providing privacy to the pool / patio area and Dunestone backs onto Mystic Dunes golf course. Please note that our pool deck area in both villas do not back directly onto other properties unlike most of the other properties. This will provide you with privacy to the pool deck area as well as the bedrooms on the back of the villa. Brand new Rattan pool furniture. Safety fence across pool. Safety fence around pool. (9)	Computer with unlimited internet access including wireless internet if you want to use your laptop. (11) All linen and bathroom towels included. (14) Baby equipment includes pack’n’play, high chair and stroller (double stroller in Flagstone and single stroller in Dunestone). We can move equipment around as needed. (7)	Main Children’s castle themed playground with dragons and drawbridge with second smaller childrens playground. Both with 200 – 300 yards of villas.